Vinyl fencing has been a fixture in homes throughout Danbury since the 80s. It is a good alternative to use to replace traditional metal or wood fencing. It goes up more easily and it can hold up longer than wood in the harsh conditions that we experience in Danbury. There are a lot of benefits to wood fencing, but there are some aspects that do not hold up when you compare it to vinyl fencing. For one, wood fencing only has one “good” side. That is – the side that faces your neighbors. 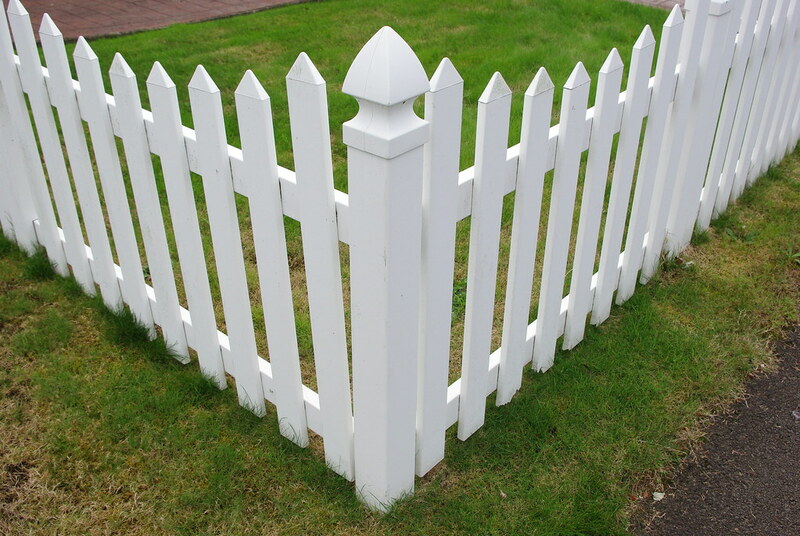 As the homeowner, you will not even get to enjoy the nice side of the fence. This means that anytime you look out into your yard, you will be looking at the posts and rails that support the fence structurally. Wood fences attract termites. Termites can damage your fence, causing you to have to replace it sooner than you had planned to. You may also be putting your house at risk. By attracting termites with your wood fence, they could easily find your garage, shed or house and infest those structures as well. Wood fencing requires a lot of upkeep to keep it looking nice. You will have to spend a lot of time brushing it, scraping it, pressure washing it, and repainting it if you want it to look nice year after year. Vinyl fencing has a weather resistant coating which can hold up against the elements that we face in the Danbury climate. Vinyl fences will solve a lot of these problems and concerns. They look beautiful on both sides, no matter which way you are looking at it, they don’t attract termites, and they do not require a lot of attention to keep them looking great for years to come. Vinyl fencing is made specifically to look visually appealing on both sides. Unlike wood fences, which require beams and boards to be nailed into one side of the fence, vinyl fencing has specialized attachments to hide all of the visually unappealing components. This results in a cleaner and more attractive inside portion of the fence. This is great if you want your yard to look beautiful from the inside. Vinyl fences are made of PVC material which does not attract termites. This means you will not have to worry about termite infestations in your fence or home. This type of material is designed to withstand harsh weather conditions. It will not wear down or deteriorate like wooden fences will. This means it will be just as strong years down the road as it is on the day you got it.